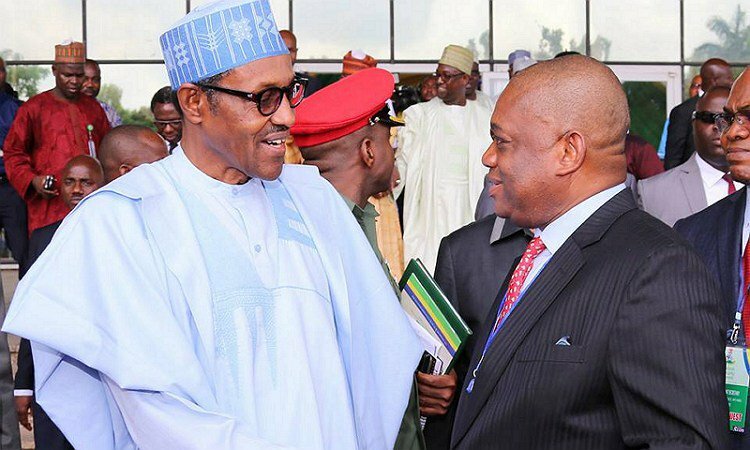 Former Abia governor and chieftain of the All Progressives Congress (APC), Dr. Orji Uzor Kalu, has said an elected APC government in the state, in 2019, will ensure free and compulsory education for all children. Speaking at his country home at Igbere, in Bende Local Government Area of the state, yesterday, while addressing party faithful, Kalu said dividends of modern democracy start from primary, secondary and tertiary education, which he says is the fulcrum on which other development indices are based. He said as governor, he never joked with the Education sector which informed why his administration was able to pay teachers and other workers salaries promptly. “I was governor for eight years; we paid teachers, we paid local government workers, we paid civil servants and students had almost free education. “So, why should today be different? The attitude of modern democracy is to build social enclaves that make modern democracy operative. “Today, modern democracy is no longer operative in our state. We are committed to free education. We are committed to free and sound healthcare. We have done it in the past and we are ready to do it again under APC. “We are committed to paying pensioners what is due to them. We are committed to paying retirees their gratuity. Because those are the symbols that make democracy beautiful, those are architect of good democracy. Kalu regretted that it is only in Abia that federal lawmakers do any attract anything from the Federal Government to complement efforts of the state government. Asked why Abians should embrace APC, Kalu replied: “Abia belongs to APC; we can’t be where the president of Nigeria is not. People who said that they are our brothers and sisters ruled for years, but, you can see that there is a difference in Enugu/Port Harcourt Expressway. In his comments on the killings across the country, Kalu noted that there is no way any president in Nigeria will be happy that his people are being killed, but stressed that Buhari, as father of the people, will not be happy about the killings because he cares. The former governor urged APC leaders in the state to represent the party well and be fishers of men. “Go out there and get decent people into APC. “I respect all of you; from my ward chairman to the rest of you because you were all elected. You must preach your party well. You must help to redefine what democracy is to wake up for the journey that lies ahead of us. “You were called to reaffirm that Buhari will have nothing less than 75 percent in Abia. We want Abia to be the flagship of Buhari’s re-election in 2019. “I was governor under Obasanjo and he promised and failed us on the second Niger Bridge. While advising Abians to be wary of the little money politicians give during elections, the former governor noted that APC is doing well in Abia state. “A party that had four percent of votes in 2013, but had 39 percent in 2017 in Anambra state has done well; very well so far in Igboland but, one state will cross the threshold and that is Abia state. “We will be the first state in the South East, after Imo to produce the governor. “We will be the first state in the South East that will have components that make up the democratic process,” Kalu said. The former governor said an APC government in the state would not only ensure that Enyimba International Football Club returns to Aba to play her matches, but will bring back the African Champions League trophy back to Abia state. Abia state existence securities and freedom is only under Biafra Republic of south east in Disintegrated Republics of the natives under Southern Countries Union- SCU in this 21st century world international order which must be defended with the Sword in this final conquest of the Liberation Revolutionary Warfare of the natives which ends in Sokoto- the sit of the satan of this natives territory. God given Victory is the natives. Only the Sword decides. God Is With Us!! !